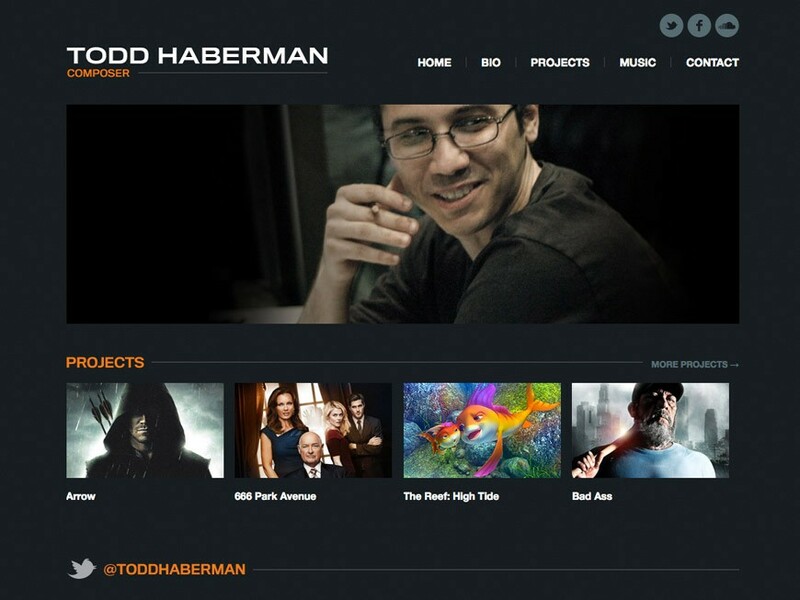 Since the mid-2000s I’ve had the opportunity to work with a handful of great film and television composers on their websites. Here’s a sampling of some those collaborations. Like any creative work, some of might look a little funky now, but they all managed to give the composer a unique stamp online. For one reason or another, some of these sites have been redesigned, but like everything else, sites change. Clients include: David Reynolds, Kevin Kiner, Brian Tyler, Christopher Lennertz, Marcus Trumpp, Jack Wall, Garry Schyman, Corey Allen Jackson, Rob Simonensen, Nathan Furst, Jeff Cardoni, Miho Nomura, Rebecca Kneubuhl and Gabriel Mann.